Google is almost universally known for its powerful search tool (Okay, I realize some intelligent life in another galaxy may not know about Google yet, but I’m sure they are working on that.). And it’s fair to say that the numbers of users of Google Maps, Reader, and Gmail is certainly vast and continues to grow. However, if you have never taken the time to explore beyond these wonderful tools, however, it is certainly worth the time. 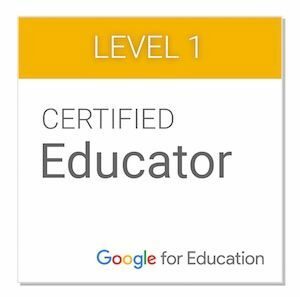 Google continues to innovate, and there is an incredible array of tools that have potential for the curriculum. The following is a sampling of Google resources that are a good place to start your exploration. Image Search. Not a new tool, but there is an important feature that many educators may not be aware of. Utilizing the advanced search feature, users can find images that are licensed for various types of use, meaning students can access images without worrying about copyright issues. Knol. Somewhat similar to Wikipedia, Knol lets users create articles, called Knols, based upon topics of their choice. Knols can be individual or may allow different levels of collaboration. Images, documents, and other content can be included. Groups. Similar to Ning, Groups lets users create sites around a particular topic or interest. Host discussions, share resources, add images or video, create a custom appearance, or browse and join an existing group. Picasa. Google continues to add features to its popular photo editing tool. Users can geotag images using Google Maps, create collaborative galleries, and, with the most recent feature, identify and tag images using face recognition technology. Picasa identifies all of the photos in a collection with the same person’s face, allowing for easy identification and organization. Sites. Essentially a wiki tool from Google. Users can create collaborative websites about whatever topic they choose. Choose from a variety of templates, embed external features, add Google Maps, documents, images, and more. Building Maker. Uses images and Google SketchUp to allow users to create photo-realistic, 3D models of actual buildings. Approved models can be added to Google Earth. A bit challenging at first, but could be a great tool for older students. Translate. Translates text into any of 52 languages. If you click on the Tools and Resources link, there is an embeddable widget that allows visitors to translate your website with a single click. Great tool for teachers of students with families of languages other than English. Public Data Explorer. 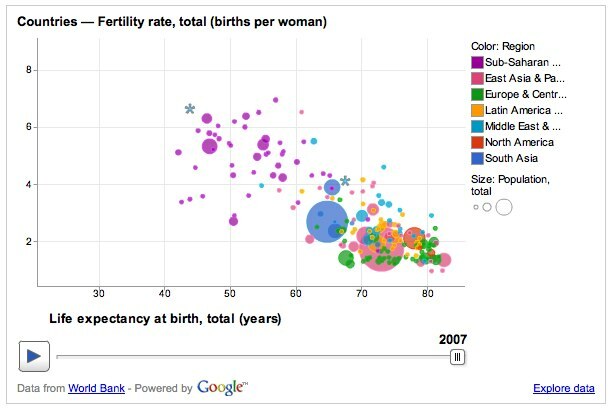 Just released this week, this tool from Google Labs allows data sets to be visualized in an interactive format, allowing users to view changes over time. Moderator. Lets a user post topics or questions, and group members can vote for or against posts, or enter responses or questions. Might serve as a potentially valuable tool for formative assessment or determining topics of interest for discussion. Voice. Free voicemail from Google. Users get a local number, which can be set to ring to any other number (Mine is (817) 601-5850–feel free to call!). Also, users get a text version of the message (albeit a bit rough, but, hey, still pretty amazing!). You’ll need an invitation, which can be requested through the site. Responses may take a few days. Mars. 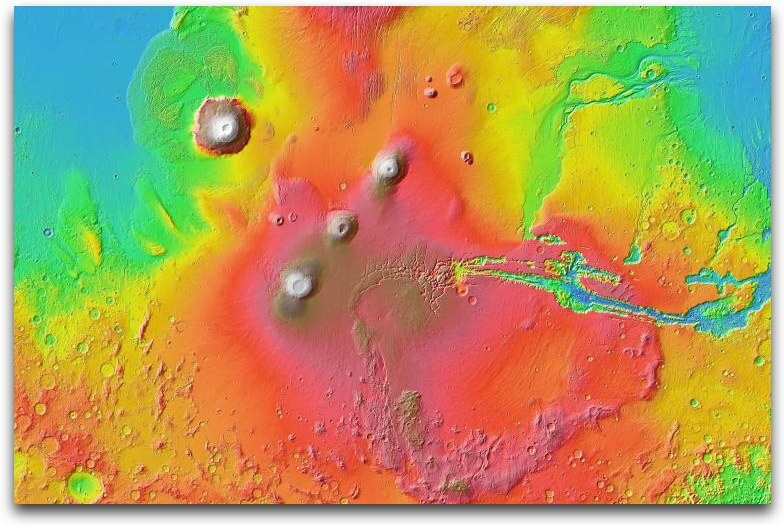 Really cool site that allows users to view infrared, elevation, and visible maps of Mars, and to focus on different types of geographic features, such as mountains, valleys, plains, etc. Custom Search. Handy tool for creating a customized Google search bar that can be added to any website. One of the most useful features is that it allows teachers (or, even better, students) to select the specific sites from which the search results will be taken, eliminating the confusion that can result when results come from the entire Web. Alerts. Simple tool that will send an email message when websites publish new information about a chosen topic. Great tool for keeping up with news or current events topics. Life Magazine Photo Archive. Galleries of images from the pages of Life magazine dating to the 1750s, available for student projects. Fast Flip. Search and find news from a wide range of sources in a quick-access, visual format. Additional results can be accessed by…you guessed it…flipping through the page (clicking-and-dragging). Squared. Experimental search tool that returns results in a table format similar to a spreadsheet. Breaks results down into useful sub-categories. For instance, the search for Haiti pictured below resulted in categories such as currency, languages, ethnic groups, etc. Results can also be exported into Google Docs or in an Excel-compatible, .csv format. Archive Search. View authentic archival resources such as newspaper articles with this search tool. Although most archives have a cost associated with their use, many are free. 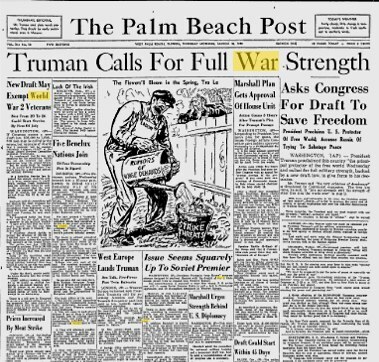 The example below is from a 1948 edition of the Palm Beach Post. Image Swirl. 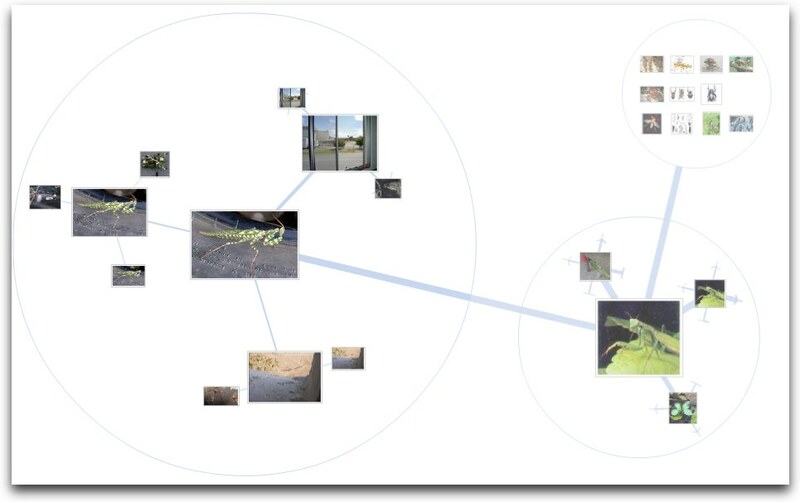 Experimental image search tool that returns results as an interactive web of interrelated results. I can see some potential for visual learners or younger students, particularly. City Tours. Google Maps tool that suggests walking tours of various locations. Most interestingly from an educator perspective, students can create their own custom tours using the My Maps feature of Google Maps. I can imagine tours of neighborhoods, cities, local historical landmarks, etc.